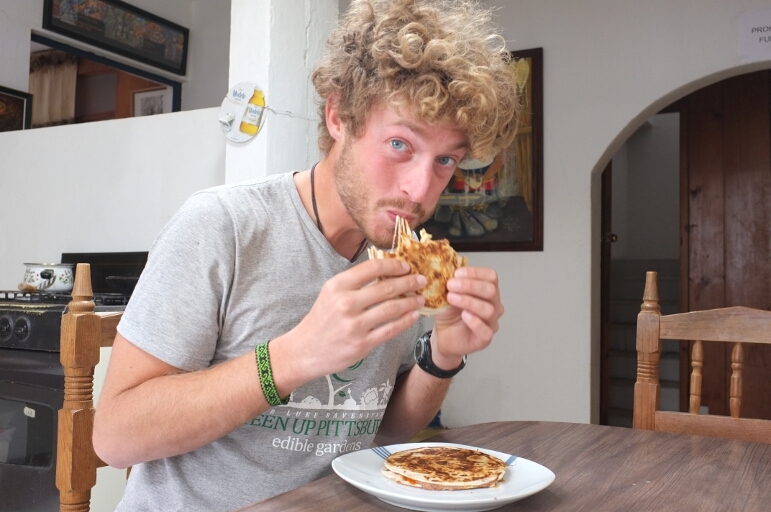 Living in Mexico for six months has taught me a lot about food. Mexico is known for cheap, easy, and calorie dense foods. 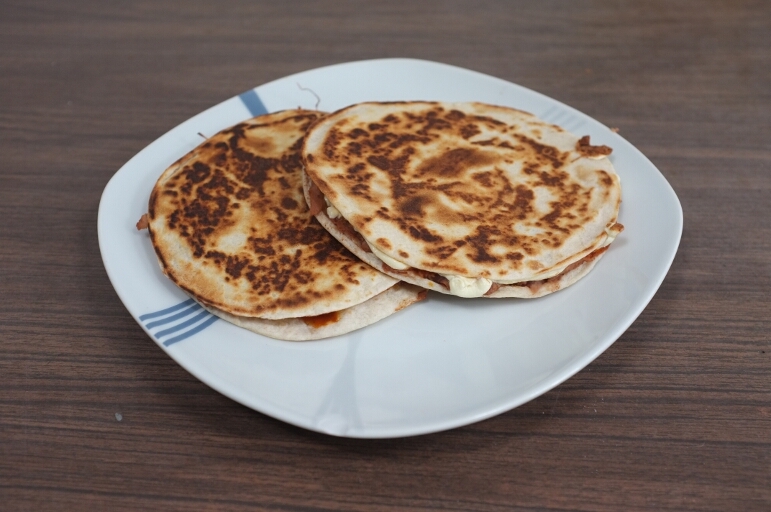 One of my favorites is a spin-off of the quesadilla: the sincronizada. 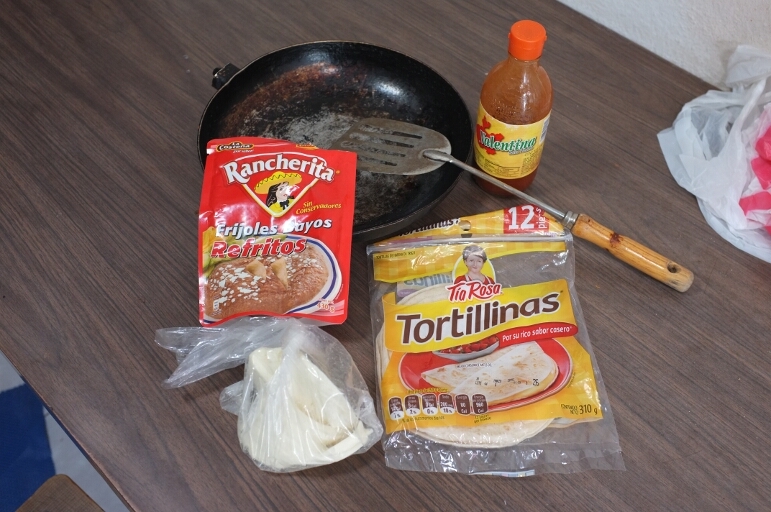 Sincronizadas differ from quesadillas only in the use of two tortillas. 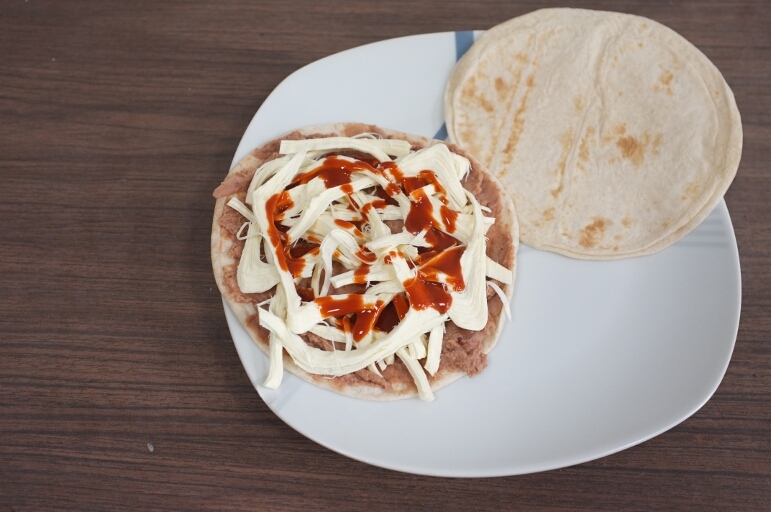 Quesadillas sandwich goodies in one folded tortilla while sincronizadas sandwich the goods between two. I prefer to make sincronizadas because it is less work for more food. More food is important to touring cyclists. Your imagination is the limit when it comes to filling a quesadilla. I usually select beans and cheese, with a touch of hot sauce for flavor. The cheese is typically queso oaxaca (known as string cheese in the US). This is the cheapest I’ve found for a balanced, calorie-dense meal. It is also very high in protein. If you want, add a slice of tomato. In Oaxaca, Jess substituted home-made chili for the beans earning him a top ten finish for best meals. For quesadillas, use half the ingredients and fold in half. If the tortilla is stiff, warm until it can be folded without breaking. Fry on a dry skillet until golden brown and the cheese is melted. Use oil if you want. Thanks! This is the fast and easy bike touring version. From looking at your blog, I’m sure you could make a fantastic gourmet version. I grew up eating grilled cheese sanwiches : white bread and cheese. 🙂 Quesadillas are a whole new world for me! Glad you enjoyed the post 🙂 I’ve enjoyed the warmth of the people here for nearly six months. It’s hard to imagine a friendlier, more welcoming people. But now my time here is over. Guatemala awaits.